Looks much better in person!!!!! I LOVE this scarf. The color is pretty. I also purchased the jewel head band to go along with it. Very nice combo!!!! 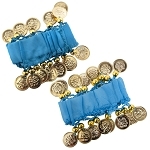 The turquoise hip scarf is pretty and the coins sound very nice. It's a basic hip scarf, great for practice and performance purposes. A good deal and the coins have stayed secure thus far. I was pleasantly surprised at the quality of the scarf! Very well made! I also was very pleased at the delivery time; it arrived in the time span that was quoted to me. Thank You very much! 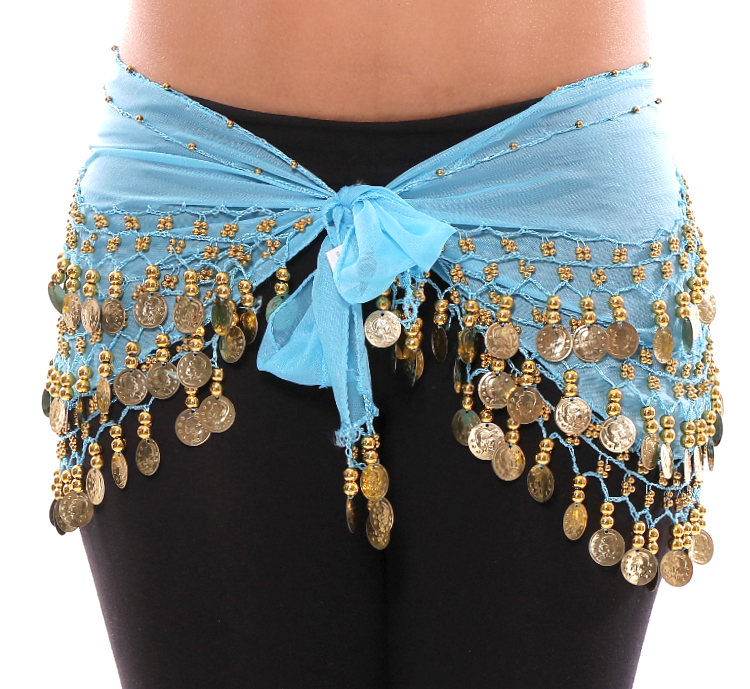 If there is ever a need for other bellydance gear, I would definitely order from your site again! Very pleased with my items, and got compliments on them as well. Recieved orders quickly. :) would definately suggest this site to others.